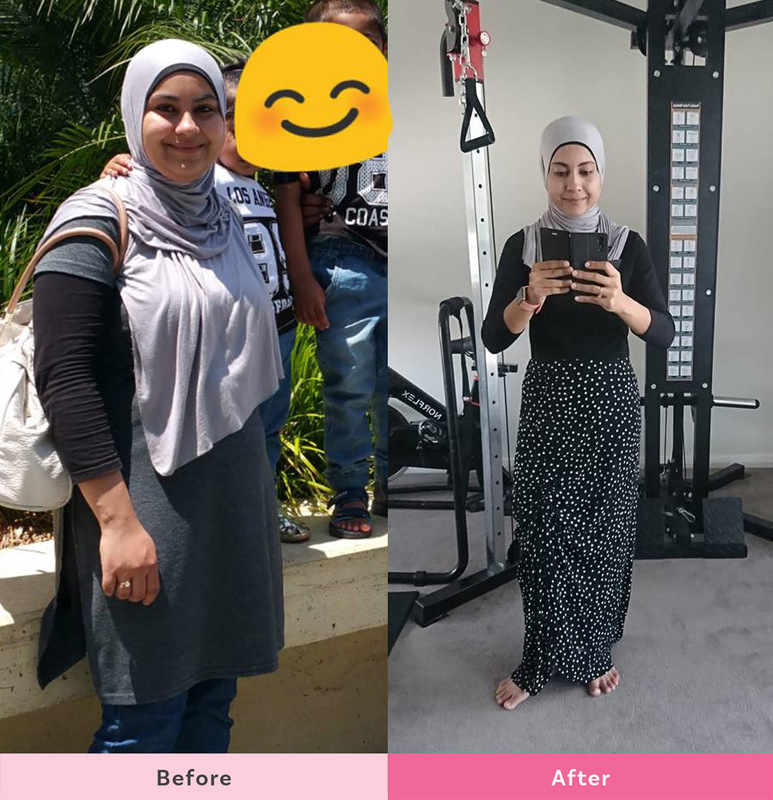 Mofiza Nisha has been following the 28 Day Weight Loss Challenge since April 2018. In that time, she has noticed a huge difference in herself. After many years of not being able to shift any baby weight, she says that thanks to the 28 Day Weight Loss Challenge and smoothies, she is well on her way! In the first picture, Mofiza wasn’t pregnant, she was four months postpartum. It was then that Mofiza knew she needed to make changes for her health. 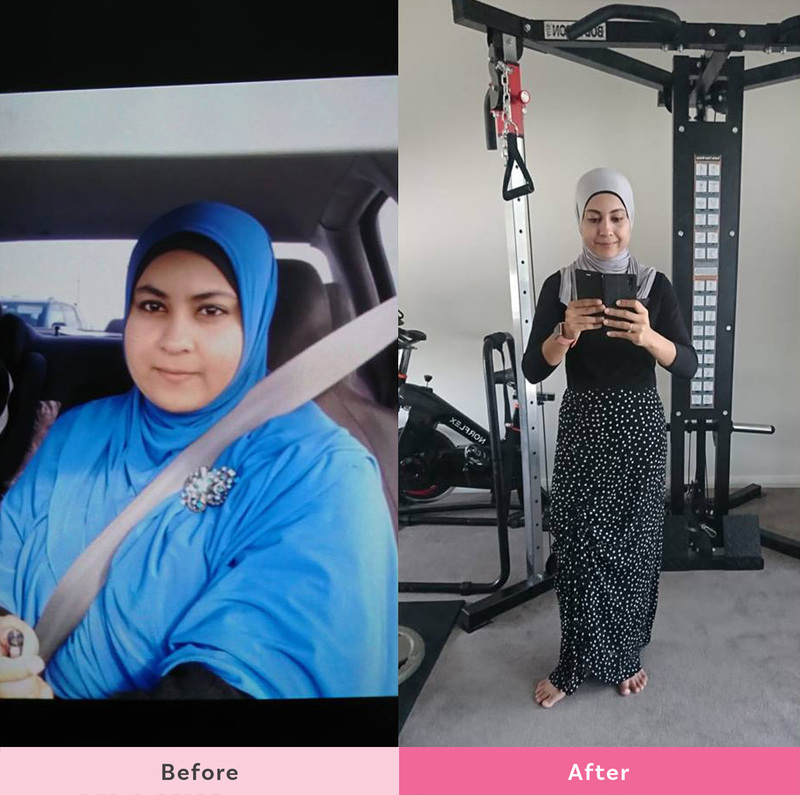 Mofiza started her weight loss journey with the 28 Day Weight Loss Challenges in April 2018 and weighed 73.7 kg. She has since lost 28.5 kg. 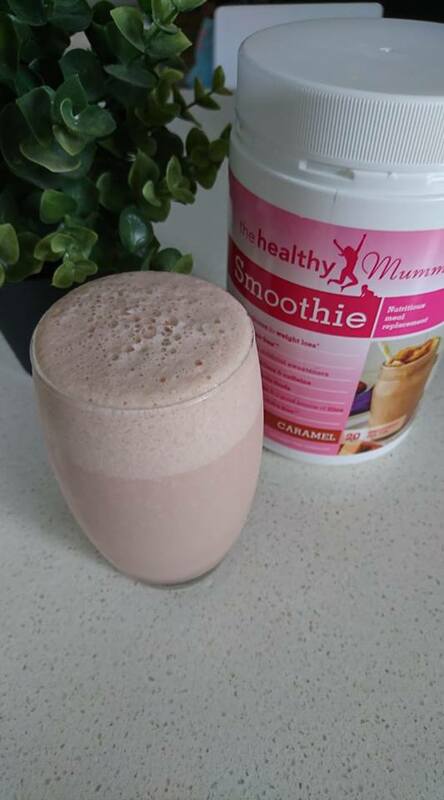 “I follow the 28 Day Weight Loss Challenge and am using The Healthy Mummy Smoothies,” she explains. The 28 Day Weight Loss Challenge has improved Mafiza’s lifestyle for good. 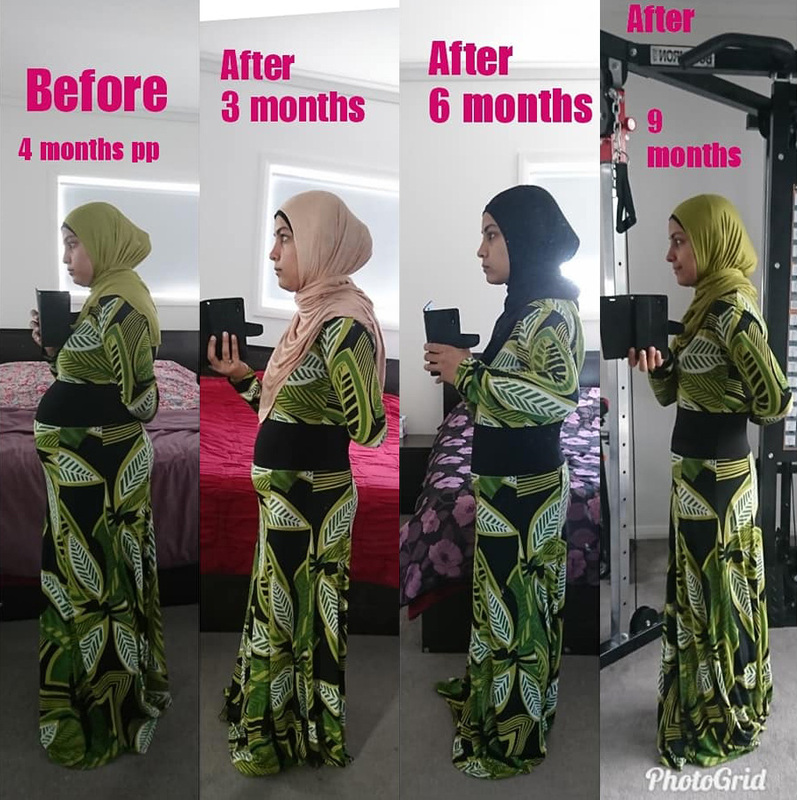 “The Healthy Mummy 28 Day Challenges have helped me lose all my extra weight even though I had obstacles during my journey and could have easily given up. Mofiza loves how adaptable the meal plans are, especially whilst she was doing an elimination diet whilst her breastfeeding her bub who has allergies. “I followed a very strict elimination diet (about 20 different foods eliminated) for my breastfed bub who has allergies and intolerances, for 6 months of my weight loss journey with the healthy mummy and I was still able to use the challenges because that’s how customisable the challenges are to suit anyone’s needs. 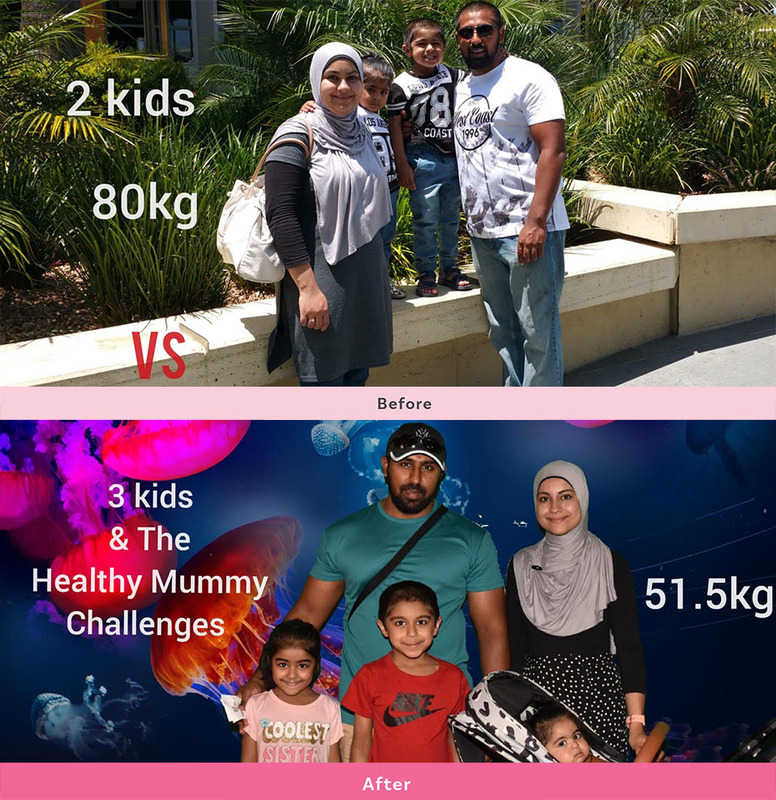 “The before family photo was taken on 25/12/2015 probably at my heaviest almost 80kg. This photo has never been seen by anyone else except for this group because I haven’t had the guts to show it to anyone ever. I remember being very uncomfortable when this photo has been taken and yes I deleted it from my phone fast enough but luckily backup storage saved it so I can look at it today and be proud of how far I have come. I claimed my life, my happiness and my confidence back once I joined The Healthy Mummy 28 Day Weight Loss Challenges in April 2018 at a 73.7kg. From being unhappy with her appearance to being confident and loving her body, stretch marks, curves and all, Mofiza is loving her new self. She is becoming the person she always wanted to be. “Joining the 28 Day Weight Loss Challenge is the best thing I have done for myself in a long time,” says Mofiza. “I have not only transformed my body but also the way I view my life now. I have found my happiness, I enjoy getting dressed, going out and meeting people now. 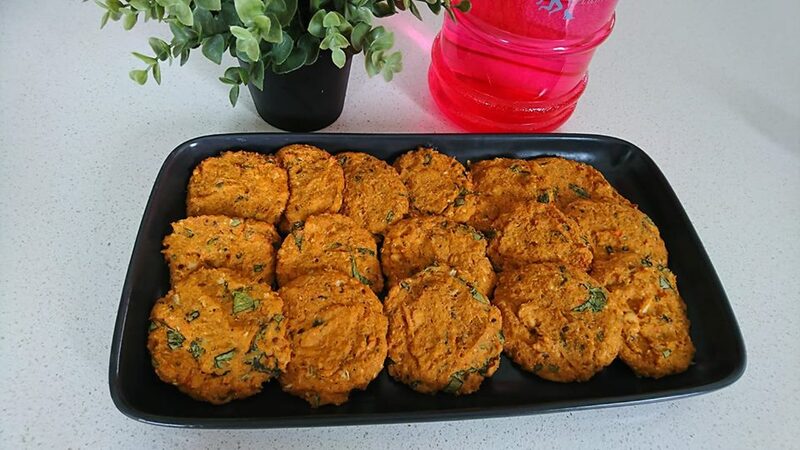 I have learnt so much while on my healthy mummy journey as well, I now have a great knowledge of food and healthy choices, I can cook meals from scratch, my family eats a whole lot more veggies and overall a much more healthy and balanced diet on a daily basis. Here at The Healthy Mummy, we are strong advocates of exercise. We truly believe that weight loss, eating healthy and exercise go hand in hand. Physical activity and exercise are not only important for your physical being, but it is also important for your mental health. The endorphins or happy hormones that are released during exercise helps to balance your moods. This is why we have created exercises that are perfect for a busy mum. These exercises can be scheduled into your day at any time and anywhere. Here is an example of our HITT workout. Of course, incidental exercise is important too as is going for walks. When Mofiza was asked whether she exercised alongside the 28 Day Weight Loss Challenges and smoothies, this is what she replied. 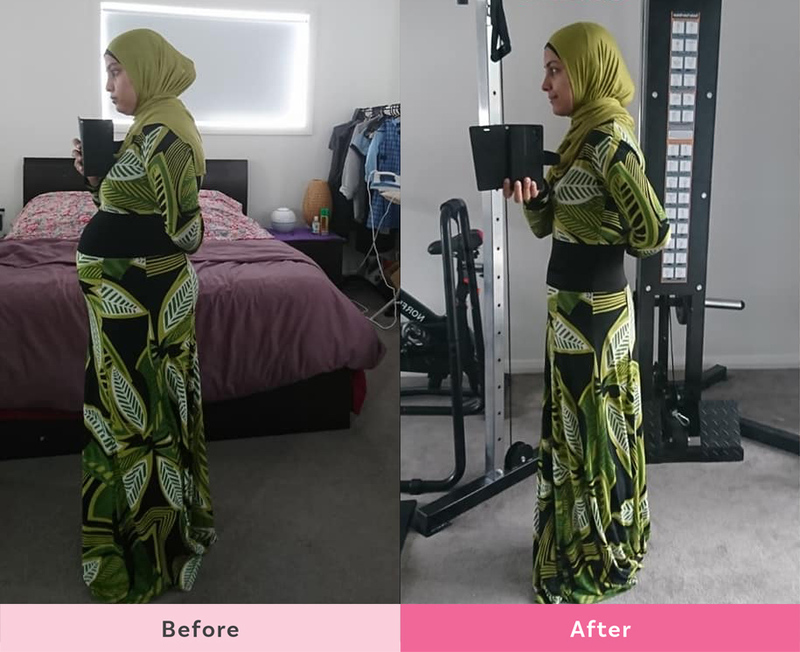 “I started with walks and ellipticals 2-3 times per week in the first three months when bub slept and walks with her in the pram, I then upped it to 3-4 days. Now I alternate between walks, ellipticals, core workouts, and weights 5-6 days/week. Mofiza sets herself goals and for her, it is mind over matter. When her baby sleeps, she drops everything and exercises – eventually, it becomes a routine. “I had to change my mindset too, I have always put kids, family and you name it, it would be before me on my list but this year I got over it, put myself in par with kids, family etc and didn’t look back,” she explains. Starting with little steps was how Mofiza began her exercise routine. “It’s hard to go full on with a bub, I included exercise while doing regular tasks such as jogging on the spot when reheating food, squats during laundry and on those clingy impossible days when exercise is out of sight I would just focus on eating healthy, if I couldn’t do a 28 Day Weight Loss Challenge recipe, I would have a smaller portion of whatever else if that makes sense. How does Mofiza stay on track? To stay on track Mofiza sets herself goals and believes that everything is allowed in moderation. She also believes that consistency is key to success in your weight loss goals. She also likes to set herself goals for the day to make sure she stays on track! “I find setting small goals to tick off during the day a great way to keep myself accountable and on track,” Mofiza explains. 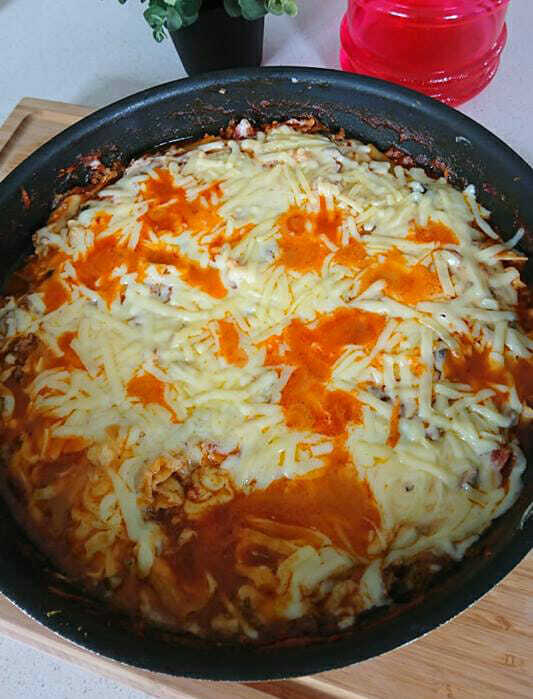 Mofiza loves the Stovetop Lasagne, which is a family favourite as well. These smell sooo good, screw you Monday I am going to have one for an afternoon snack today. This recipe is available as a part of the 28 Day Weight Loss Challenge. She also loves to start or end her day with a Healthy Mummy Smoothie. “Do you have a sweet tooth like I do or probably all your teeth prefer sweet for dessert like mine does? Why have sugary junk for dessert when you can have a delicious chocolatey nutritious smoothie whipped up in less than five minutes instead! Sneaky Snickers Smoothie for dessert tonight, yes please! She even whips up her own creations! “New day, new smoothie combination, and yum! Wow! Well done, Mofiza – you are an inspiration! Thank you for joining The Healthy Mummy. If you are wanting to lose weight and improve your energy – not to mention – help improve your overall health and wellbeing – our 28 Day Weight Loss Challenge is an awesome program to check out. 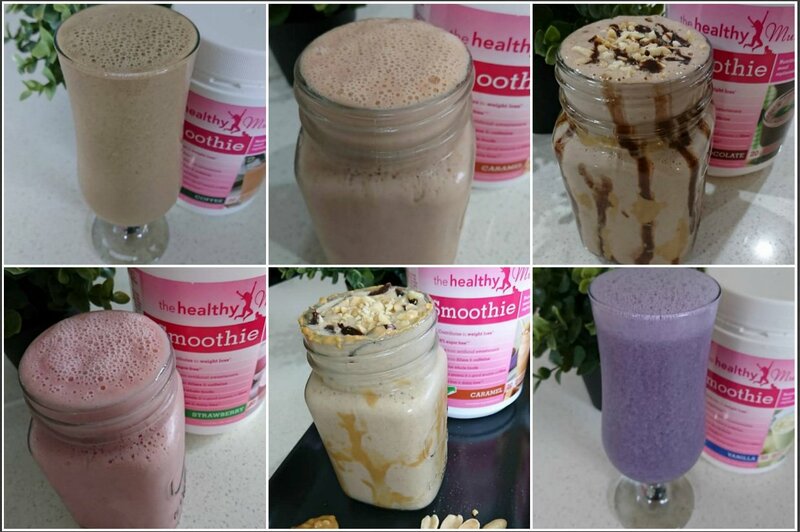 You can also buy our Healthy Mummy Smoothies here.